Maggie Bartlett is an assistant professor at the University of Wisconsin-Milwaukee and the program chair for Early Childhood Exceptional Education. Dr. Bartlett has ten years of teaching experience working with children with disabilities and their families within the United States and over two years of working with teachers, families, and children in Namibia and Tanzania. She earned her M.S. at University of Texas-El Paso and Ph.D. at Arizona State University. Currently she is teaching courses that relate to working with families of young children with disabilities in urban settings and language and literacy for young children. 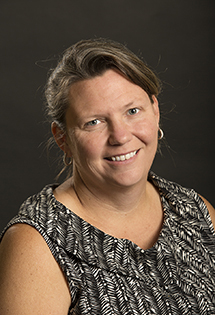 Dr. Bartlett’s research and writing focuses on the cultural practices and complexities as it intersects with the education for children with disabilities and their families. She uses critical, decolonizing, social justice, and comparative lens in her work both nationally and in Namibia and Tanzania. She is currently working on understanding the impact that mandated aligned of Common Core State Standards has on IEP goal development and teacher efficacy.